At least 200 Chinese mining companies have expressed interest in investing in the mining sector of Nigeria, according to the Daily Trust. Minister of State in the Ministry of Development of Mines and Steel Bava Abubakar in September led the delegation of Nigeria at the China Mining Conference in China. During the conference, Nigeria and China organized the second summit in Chico-Nigeria to demonstrate the mineral potential of Nigeria. A competent source in the ministry said; "We received this huge number of investors through a website created as the Cino-Nigeria Finance Alliance Group during the summit." According to the source, the ministry, delighted with this feat, has stepped up measures to attract investors before the end of the year to enable them to begin the necessary steps to invest in this sector. 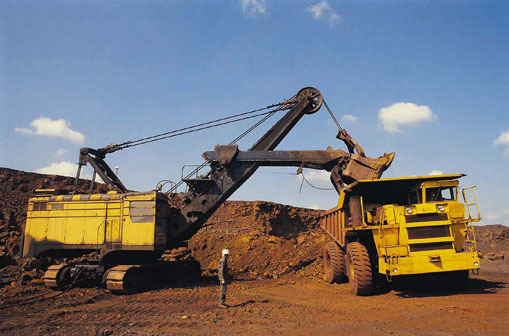 The main solid mineral resources in Nigeria are coal, iron ore, tin ore, rare metals (niobium, tantalum). In addition, there are deposits of brown coal, uranium, manganese, tungsten, gold, copper, molybdenum, lead and zinc and mining chemical raw materials.